Auf der Plenarversammlung der Finanzaktionsgruppe gegen Geldwäsche, der internationalen Finanzaufsichtsorganisation, die vom 1. bis zum 3. November in Buenos Aires von Argentinien abgehalten wurde, wurde „öffentliche Erklärung“, in der stereotyp erwähnt wurde, dass die DVRK bei der Arbeit gegen Geldwäsche noch nicht ihre Fehler beseitigt hatte, und zugleich eine „Zusatzerklärung“ angenommen, die zum Inhalt hat, durch konsequente Ausführung der „Resolutionen über Sanktionen“ gegen die DVRK im UNO-Sicherheitsrat die finanzielle Unterstützung dieses Landes für Verbreitung der Massenvernichtungswaffen zu stoppen. Das ist eine unfaire Handlung der Organisation, die unter dem Druck der USA aufs Äußerste politisiert wurde. Deswegen weisen wir diese entschieden zurück. Der US-amerikanische Geheimdienst CIA wollte in Zusammenarbeit mit dem südkoreanischen Geheimdienst NIS den Obersten Führer der DVR Korea, den verehrten Genossen Kim Jong Un, hinterhältig ermorden. Dies zeigt einmal mehr, dass in den USA und Südkorea die Herrschenden völlig wahnsinnig und von ihrer Anti-Korea-Politik bis ins Mark hasszerfressen sind. Je erfolgreicher die DVR Korea nicht nur mit ihren Nuklearwaffen und ballistischen Raketen wird, sondern gleichzeitig immer größere Erfolge im Wirtschaftsaufbau, Gesundheitswesen, Verkehrswesen, Bildungswesen usw. vorweisen kann, desto fanatischer werden die armseeligen Gestalten im Westen in ihrem verzweifelten Handeln, denn die DVR Korea straft all die völkerrechtswidrigen Sanktionen und Erpressungsversuche der US-Imperialisten und ihrer Lakaien sowie der UNO mit Füßen und wird in immer kürzerer Zeit immer erfolgreicher. Wir sehen bei den Imperialisten das verzweifelte kopflose Verhalten eines Ertrinkenden, der im Wahn des überleben wollens auf einen Haifisch zuschwimmt, unfähig, die eigene Situation auch nur noch im Ansatz zu begreifen. Wir fordern die UNO und die aufrechten Staaten der Welt auf, endlich die Pest und Geisel der Menschheit, den US-Imperialismus und ihre traurigen Helfershelfer international zu isolieren, zu sanktionieren und die für Völkermord, Krieg und Ausplünderung Verantwortlichen vor ein Tribunal der wahren Völker- und Menschenrechte zu stellen, abzuurteilen und von der Erde zu tilgen. Dies sind keine Menschen, nicht einmal Tiere sondern widerliche Wesen, die jedes Recht verloren haben, menschlich behandelt zu werden. Wir gratulieren den Sicherheitsorganen der DVR Korea, dass sie die Verantwortlichen dingfest gemacht haben! Ihnen wird das Urteil der wahren Gerechtigkeit zuteil werden! The last-ditch effort of the hostile forces, taken aback by the strong spirit of the DPRK dashing toward the final victory of the cause of Juche revolution, has gone beyond the limits after reaching the extreme phase. The recent hysteria about „beheading operation“ and „preemptive attack“, openly staged by the U.S. imperialists and the south Korean puppet military warmongers at the doorstep of the DPRK, is just the tip of the ice berg of those moves. 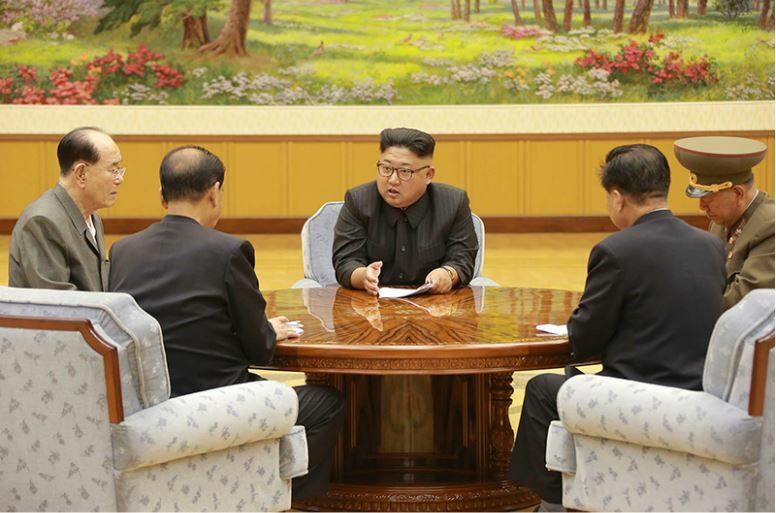 The Central Intelligence Agency (CIA) of the U.S. and the Intelligence Service (IS) of south Korea, hotbed of evils in the world, hatched a vicious plot to hurt the supreme leadership of the DPRK and those acts have been put into the extremely serious phase of implementation after crossing the threshold of the DPRK. 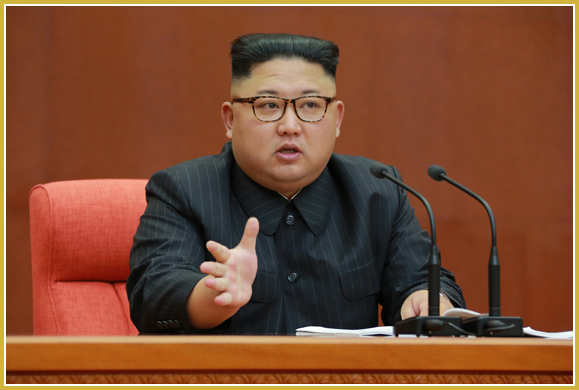 A hideous terrorists‘ group, which the CIA and the IS infiltrated into the DPRK on the basis of covert and meticulous preparations to commit state-sponsored terrorism against the supreme leadership of the DPRK by use of bio-chemical substance, has been recently detected. The murderous demons of the IS who conspired with the CIA ideologically corrupted and bribed a DPRK citizen surnamed Kim, the then worker of the timber industrial branch in the Khabarovsk Territory of Russia in June 2014, and turned him into a terrorist full of repugnance and revenge against the supreme leadership of the DPRK. They hatched a plot of letting human scum Kim commit bomb terrorism targeting the supreme leadership during events at the Kumsusan Palace of the Sun and at military parade and public procession after his return home. They told him that assassination by use of biochemical substances including radioactive substance and nano poisonous substance is the best method that does not require access to the target, their lethal results will appear after six or twelve months, bio-chemical substance can be added in cooperation with the CIA if one single correct information is obtained, the component of terrorism-purposed bio-chemical substance is the know-how of the CIA and it is only the CIA that can produce such substance, and that hardware, supplies and funds needed for committing terrorism against the supreme leadership will completely be borne by the IS. Then they handed him over 20 000 U.S. dollars on two occasions and a satellite transmitter-receiver and let him get versed in it. In the end, they gave him assurances of IS that they would keep his duty concerning terrorism against the supreme leadership as secret, and infiltrated him after appeasing and blackmailing him that his families would not be scot-free in case he fails to carry out the duty. In January, May, August and September of 2016 IS agents had satellite contacts with Kim who resided in Pyongyang. The IS agents gave instructions to choose and report the most effective and safe method with high probability of success while presenting him various terrorist methods using biochemical substances along with operational code of terrorism against the supreme leadership, the ways of bribing an object who would directly carry out the terrorist act and ways of entering the grounds of events. On August 12, 2016 they gave him an instruction to collect and send as much information as possible concerning the surrounding environment of event ground where celebrations are held frequently, guard situation there and orders observed at times of events, saying that once concrete and detailed data are given, they would study the most reasonable way in cooperation with the CIA. Urging him to set up an overseas liaison center for the safe introduction of equipment, materials and fund for the terrorist acts, they financed him 100 000 U.S. dollars on two occasions for setting up the center and bribing terrorist accomplices. In March and April last an IS agent Jo Ki Chol and his secret agent Xu Guanghai, director general of the Qingdao NAZCA Trade Co. Ltd., met the terrorist accomplice in Dandong of China and handed him over new satellite transmitter-receiver and 50 000 U.S. dollars. They signed a „contract“ on setting up the overseas liaison center and let the necessary equipment and materials be introduced as the first installment in early May. On April 7 a guy surnamed Han, chief of the IS team, taught Kim the way of bribing terrorist accomplices, saying that „even the U.S. CIA uses gradual engagement with due consideration given to the greed and mentality of persons depending on which class and strata they belong“ and told him to use it as a reference in engaging terrorist accomplices to be infiltrated to the event ground. On Nov. 4, 2016 and on April 13, 17 and 20 this year they let Kim know that they officially confirmed the types of bio-chemical substance and hardware to be used for committing terrorist act against the supreme leadership and requested it to the CIA, and instructed him to restudy the „creed“ of the terrorist executor and reconfirm the state of „brainwashing“ of him and report about them. They also repeatedly instructed him to take the best measure for the examination and preparations for the terrorist operation, as there can be such catastrophic incident as a war once the fact about terrorist means and funds provided by the IS is known. The chief of the south Korean puppet Intelligence Service Ri Pyong Ho praised the terrorist as a „very valuable existence for the nation and ‚IS'“ and directly organized the terrorist operation and let the chief of the IS team Han and agent Jo Ki Chol take the lead in executing it. The puppet forces gave the terrorist more than 80 instructions for the execution of the operation. Recently the CIA and the IS actively spread the story about „emergency situation in the north“ while trumpeting about advantages of terrorism by use of biochemical substances as such way can minimize the adverse effect on the executor and the back-stage manipulator and help evade retaliation against the assailant side and international denunciation. Lurking behind the story was the heinous plot that has been pushed forward in top secrecy. 1. We will ferret out and mercilessly destroy to the last one the terrorists of the U.S. CIA and the puppet IS of south Korea targeting the dignity of the DPRK supreme leadership. We do not view the recent hideous crime just as an act of encroachment on the security and sovereignty of the state that can be committed by dishonest hostile forces. 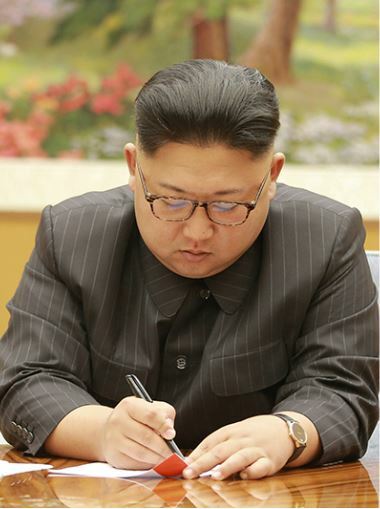 The recent case was the most vicious challenge and the declaration of a war aimed to hurt the mental mainstay that all the Korean people absolutely trust and repose and to eclipse the eternal sun of the DPRK. It is the fixed will of the army and people of the DPRK that they can never tolerate even dreaming about such a crime. Criminals going hell-bent to realize such a pipe dream cannot survive on this land even a moment. This is a stern punishment made on behalf of the human conscience and in the name of all Koreans. The Ministry of State Security whose mission is to safeguard the leader, the social system and the people will ferret out to the last one the organizer, conspirator and followers of the recent hideous state-sponsored terrorism even by ransacking the whole earth, in reflection of the will of the army and people of the DPRK burning their hearts with hatred and wrath against the hideous murderous devils, no matter at which corner of the planet they may be. 2. Korean-style anti-terrorist attack will be commenced from this moment to sweep away the intelligence and plot-breeding organizations of the U.S. imperialists and the puppet clique, the most mean and brutal hideous terrorist group in the world. Even though we wipe out all those villains involved in the recent hideous state-sponsored terrorism, there is no vouch that the enemies would stop maneuvering as long as the chieftains and the plot-breeding bases remain. It is not a secret that the U.S. imperialists and the puppet group of traitors are getting all the more reckless with each passing day and their moves are spearheaded against the supreme headquarters of the Korean revolution. It is as clear as noonday that such heinous crime targeting the supreme headquarters of the Korean revolution would continue to be attempted, as long as the U.S. imperialists and the south Korean puppet group of traitors remain unchanged in their hostile policy toward the DPRK and there are CIA and IS running amuck as a spearhead in executing the policy. Therefore, it is our determination to root up all the dens of plot and trick like CIA and IS, the source of all evils in the world, and a series of more powerful our-style anti-terrorism striking actions will begin immediately. 3. 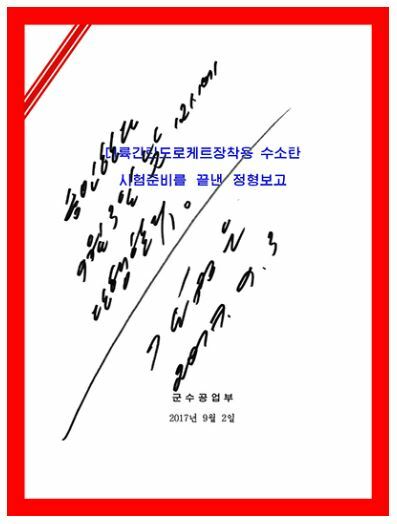 All the countries and peoples of the world that value justice and peace should resolutely turn out in the sacred struggle to terminate the heinous terrorist act committed by the U.S., kingpin of terrorism and chieftain of plot, and the south Korean puppet group of traitors. The present international situation proves that terrorism is a common enemy to humankind and the world would have no moment of peace unless terrorism is eradicated. The bloody terrorist acts of CIA and IS backed by the U.S., the empire of evil, in different parts of the world surpass terrorism which is said to be perpetrated by „Islamic State“ forces. Nevertheless, the U.S. imperialists and the south Korean puppet group of traitors have often brought charge of „terrorism“ to anti-U.S. states and resorted to unprecedentedly hideous terrorism without hesitation under the pretexts of „anti-terrorism war“, „opposition to biochemical weapons“, „sponsor of terrorism“, etc. The heinous crime, which was recently uncovered and smashed in the DPRK, is a kind of terrorism against not only the DPRK but the justice and conscience of humankind and an act of mangling the future of humankind. The world free from fear of terrorism is no more than a daydream, as long as there exist in it such groups of bloodthirsty felons as CIA and IS, common enemies hoodwinking and trifling the humankind and outrageous destroyers of the earth. The honest peace-loving peoples of the world should wage a joint struggle to put an end to all sorts of inhumane plots, arbitrariness and evildoings that ruthlessly trample down their desire for peace and stability. The U.S. and the south Korean puppet group of traitors should clearly see their dirty looks as bloodstained homicidal maniac and make an apology to the DPRK for their atrocious state-terrorism and inhumane crime and immediately put the criminals to a death penalty.